North Korean leader Kim Jong Un and President Donald Trump are shown in photos. 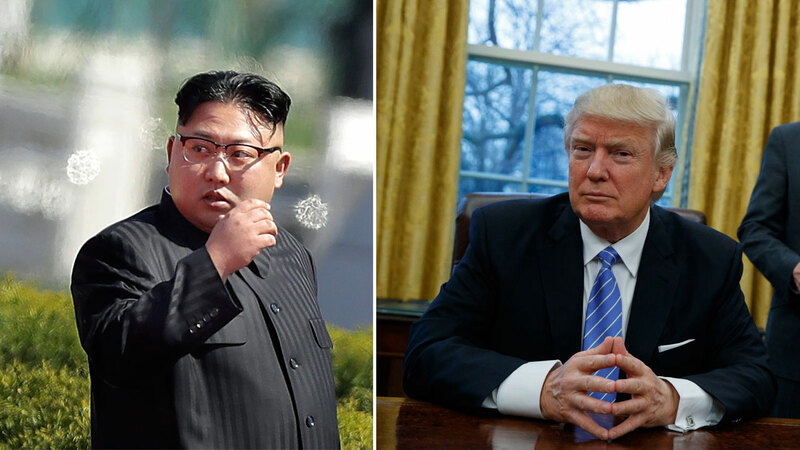 PYONGYANG, North Korea -- North Korea's vice foreign minister on Friday blamed President Donald Trump for building up a "vicious cycle" of tensions on the Korean Peninsula, saying that his "aggressive" tweets were "making trouble." In an exclusive interview with The Associated Press in Pyongyang, Vice Minister Han Song Ryol also said Pyongyang won't "keep its arms crossed" in the face of a pre-emptive strike by the U.S. Many North Korea watchers believe North Korea could have a viable nuclear warhead and a ballistic missile capable of hitting the United States' mainland on Trump's watch as president - within the next few years.